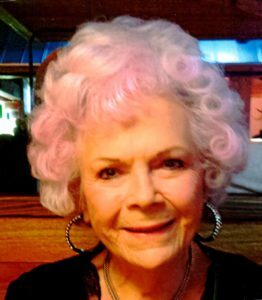 Joan Brinckmeyer, 80, of Presho, died Monday, Sept. 10 at Avera Maryhouse in Pierre. Mary “Joan” Brinckmeyer was born in Chamberlain, South Dakota on Oct. 8, 1937 to Vincent “Bink” and Violet (Werner) Snodgrass. Joan was raised in Presho and graduated from Presho High School. Joan and her family also resided in Wood, South Dakota. Joan was employed as a bookkeeper for Farmer Elevator and served as the Lyman County Auditor for 30 years. After retirement, Joan enjoyed many months in Arizona and California. Joan loved attending the Chicago Cubs spring training and being a member of the “Wild Bunch”, playing cribbage, watching basketball, shopping and most importantly her four legged baby boy Domino. Her children, grandchildren and her extended family were the love of her life and she loved spending time with them. Joan was a member of the United Methodist Church. Joan was united in marriage to Alvie Uthe in Presho on May 28, 1955. After his death, she met and married Allen D. Brinckmeyer on Sept. 4, 1963 in Ft. Pierre. Joan is survived by her daughters: Cindy Canaga, Rhonda (Blaine) Drageset, Tammy (Steve) Kokas, Liza Brinckmeyer, (Rod); step children Lynn Brinckmeyer and Jeff Brinckmeyer; daughter-in-law Debby Uthe and by her 10 grandchildren: Derek, Nicole, Justin, Brandi, Brent, Matt, Kelly, James, Wesley and Jessica; her step grandchildren, and her great grandchildren. Joan also leaves her brother, Gary Snodgrass, her sister Linda Goltz, extended family and her many dear friends. Joan was preceded in death by her parents, “Bink” and Violet Snodgrass, her husbands Alvie Uthe and Allen D. Brinckmeyer, her son Curtis Uthe, son-in-law Patrick Canaga, and great granddaughter Alana. Also preceding her in death was her stepdaughter Melinda Dube and stepson, Max Brinckmeyer.